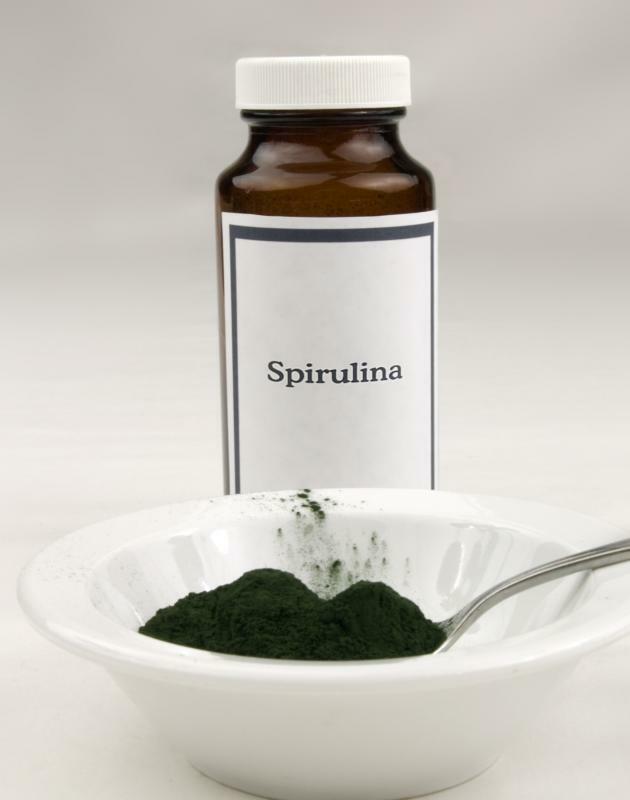 Spirulina an extremely nutritious blue-algae that is considered to be a "super" food. 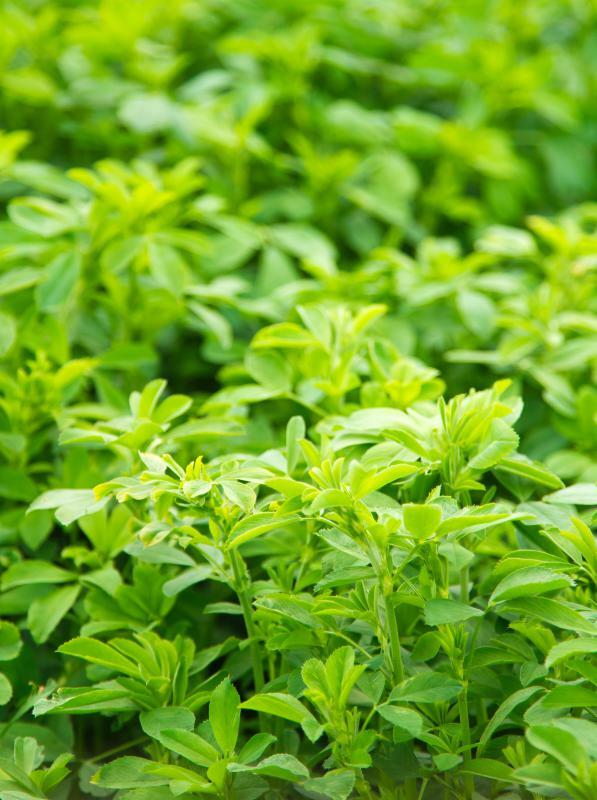 Alfalfa contains many vitamins and minerals. 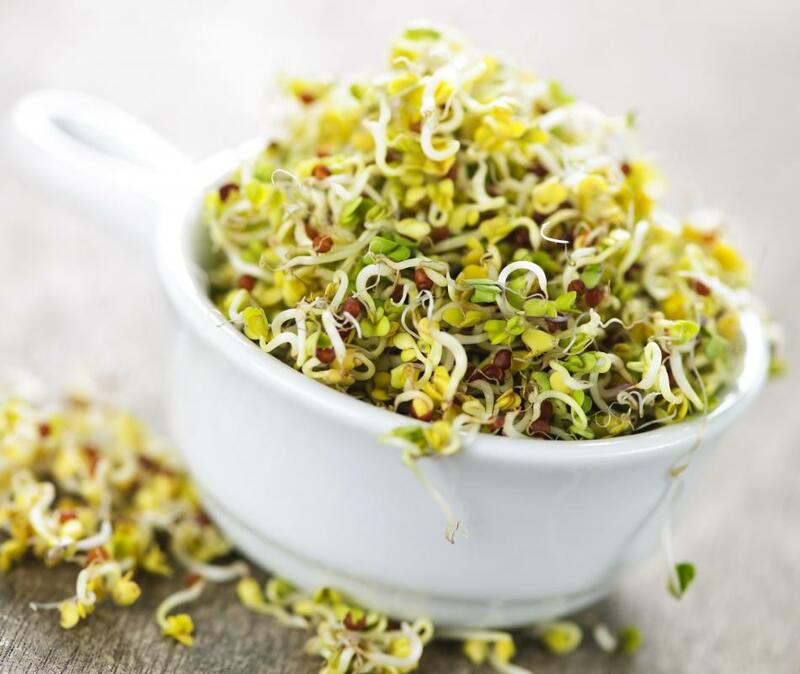 Alfalfa is considered a superfood because it is loaded with nutrients. 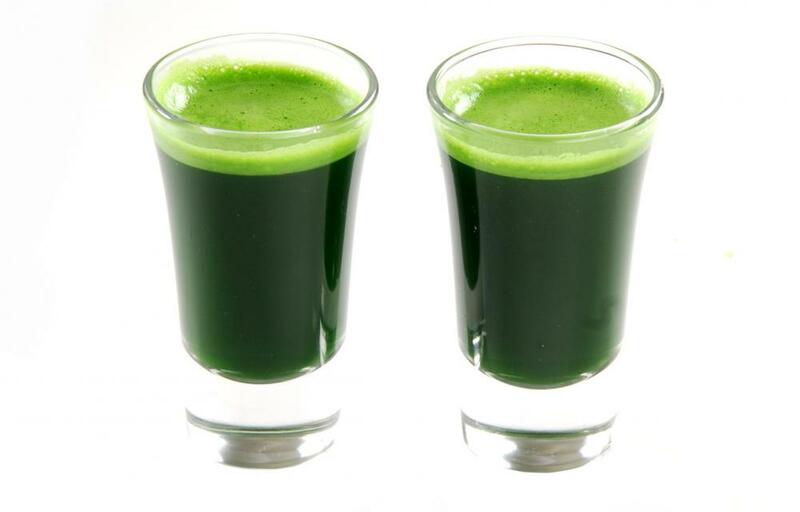 Shots of wheatgrass juice, which is often considered a super food. Barley is a super food. 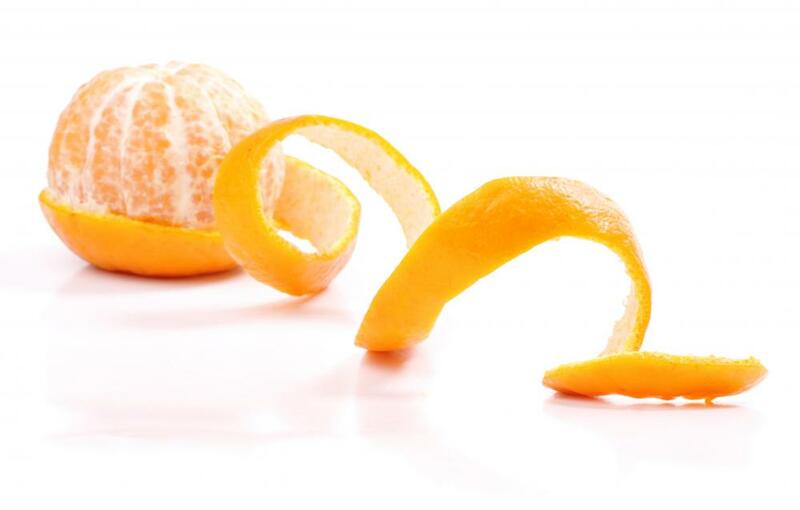 Orange peel is a superfood. Spinach is a super food. In terms of processed foods, a super food can be any type of vegetable, meat, or fruit that has been enhanced with additional nutrition in some form. For example, if the packaged food includes additional herbs and spices to replace the amount of salt present, the product would meet the basic definition for a super food. The same is true with any juice blend that includes several different fruits or vegetables in order to provide more nutrition in a single serving. One of the more recognizable examples of a super food is natural foodstuffs that contain high amounts of chlorophyll and antioxidants. Various types of seaweed is an example of this type of green super food. They tend to contain high concentrations of essential minerals. Chlorella and spirulina are two other examples of green super food sources that are often used in many commercial supplements. Whole grains often meet the basic requirement to be known as a super food. Alfalfa and barley both contain a wide range of vitamins and minerals that help to support the healthy function of just about every system in the body. Wheat grasses also provide a significant amount of nutrients and may be consumed as a flour, powder, or be juiced to produce a nourishing liquid. Lemon peel, rose hips, and orange peel are also considered examples of a super food. The high amount of Vitamin C found in each, along with calcium and other minerals is augmented with the presence of a healthy dose of bioflavinoids. The pectin content of the orange and lemon peels is also considered helpful for their ability to flush out excess amounts of heavy metals from the body. It is possible to integrate super foods into the daily diet with relative ease. 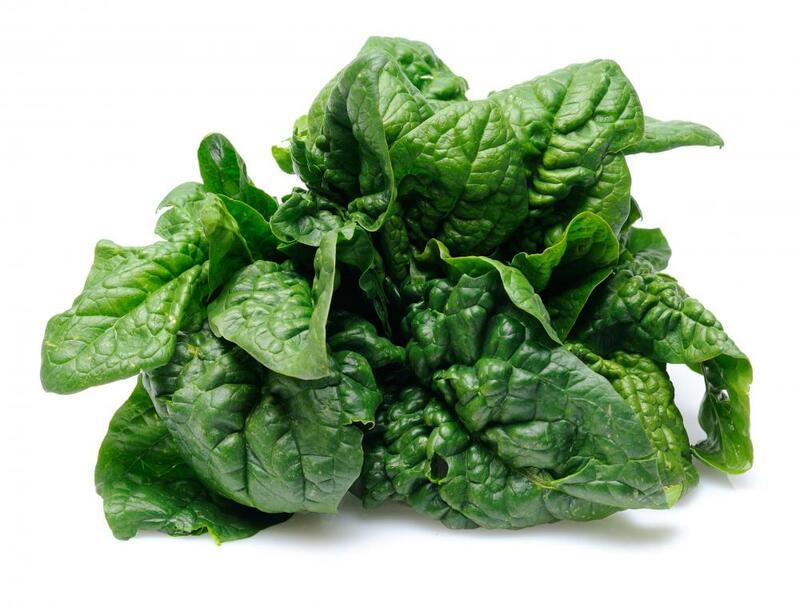 Some examples of super food, such as fresh spinach, can be found in any supermarket. Acai berries and commercial products such as Fruta&Reg; can be purchased in some health food grocery stores and vitamin shops; they are also available for purchase by mail order and online. Seaweed products can often be purchased at ethnic supermarkets as well as from online sources. While some of the super food options are more expensive, there are many options that are no more expensive than other foods that do not contain the same level of nutrition. What Are the Different Foods with Chlorophyll? How do I Choose the Best Chlorella Tablets? What is Super Low Fat Food? The health food store near my house offers custom-made smoothies, and one of their most popular uses all of the top green super foods. I didn't think I would like it very much, but it turned out to more on the sweet side. It didn't look very appetizing, but I felt much better after chugging it down. They also had smoothies based on other super food lists, especially berries. I agree with RocketLanch8 that whenever a new super food is announced, it becomes nearly impossible for consumers to afford it. But I try to stick with super foods that are also relatively inexpensive. I eat handfuls of almonds throughout the day, and I also stock up on fresh blueberries and bananas when I can. Some of these super foods were already expensive before they made the best super food lists, because they have to be imported from exotic locations or they don't have a very long shelf life. One thing I can count on whenever someone releases a list of super health foods is that the prices on those items will shoot up at the grocery store. Everybody who reads one of those super food lists will start buying up whatever is on it, whether they actually like those foods or not. I remember my favorite grocery store couldn't give away acai berries a few years ago, but then when it was described as a top super food, acai juice was selling for over $7 a bottle.